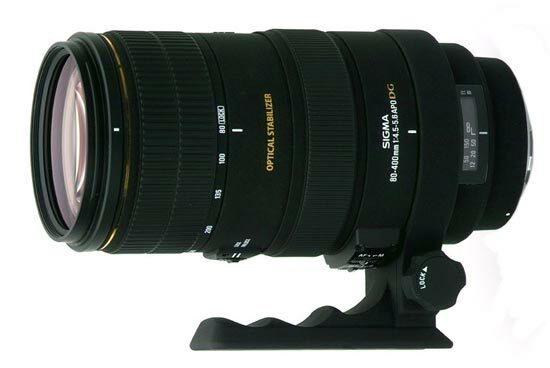 The lens has a focal length of 80-400 mm. Depending on which camera the lens is used, the experienced and perceived focal length will be different. Please visit the list of compatible cameras below, it will provide the equivalent focal length you get on each camera. One thing to consider is that the lens has a variable brightness, which means that depending on how much you are zooming the lens will have a different maximum aperture value. At 80 mm the lens brightness is f/4,5 and at 400 mm the brightness is f/5,6. Through the link below you can read more about what this could mean for you as a photographer.